What is HIIT? HIIT is the short form for high-intensity interval training designed help people lose weight and build strength. You can use it to with regular exercise to improve their overall effects. It contributes to burning fats and fifty percent more efficient than regular low-intensity exercises. 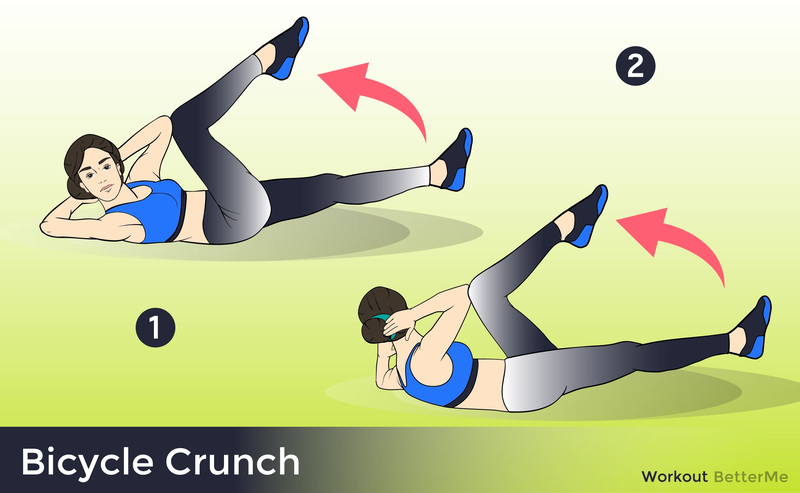 It also improves your metabolism and thus it makes you burn more fat in less time Here is 7-Minute Bodyweight Workout you can do anywhere! See the videos below to know how to perform each move. This routine is perfect for people that want to lose weight very fast or for athletes that need to build endurance and strength. 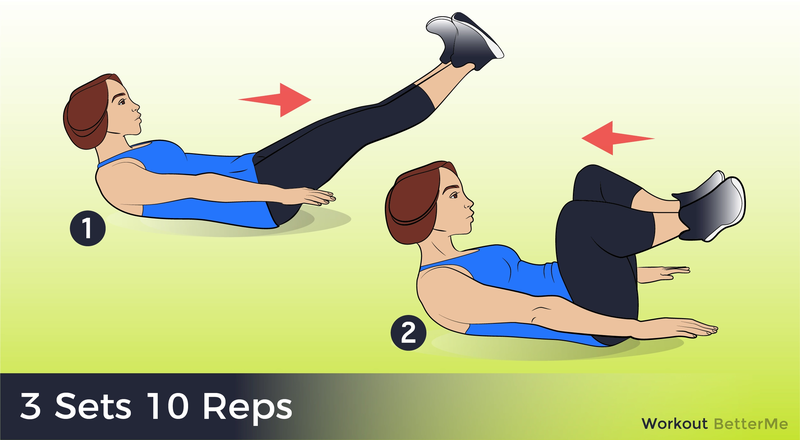 - Now switch sides and do the same motion on the other side to complete one rep.
- Sit or lie down on you back with your legs straight out in front of you. - Bend the knee of your non-operated leg to a 90-degree angle keeping your foot flat on the floor. - Tightenten the muscles on your straight leg by trying to contract your quadriceps. - Hold for three seconds. Slowly lower your leg to the floor. - Use 1 or 2 hands to pick up the kettlebell, pulling it up to your chest. Hold the kettlebell at chest -level with both hands, making sure to keep your arms close to your body and elbows tucked in. Your feet should be slightly wider than shoulder-width apart, with your toes pointing slightly outward. Keep your back straight and abdominals tight. This will be your starting position. - Pushing your hips back, slowly bend the knees and lower your legs until your thighs are just below parallel to the floor. Make sure to inhale during this portion of the exercise. - Press through the heel of the foot and push your hips through to return to the starting position. Breathe out during this phase of the exercise. - Start in a Downward Dog pose, actively pushing your weight into your heels while reaching your tailbone to the sky. Lift your left leg up squeezing the left glute. - Exhale rock your weight forward over your hands, draw your left knee toward your nose pulling your abs to your spine to round your back. 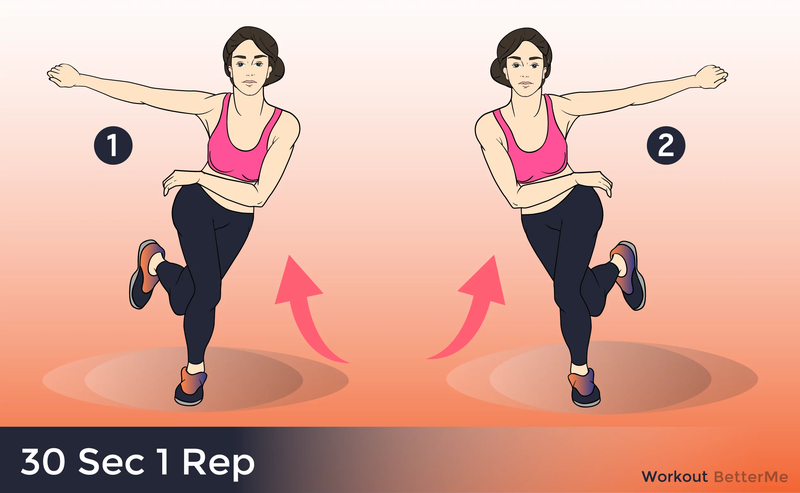 - Inhale and lift your left leg up as your push your weight back into your heels. This complete one rep.
- Assume a standard push-up position. - Begin exercise by bringing your left knee to your left elbow. - Return to starting position and repeat with the right side. - Stand tall with your legs straight and arms hanging at your sides. - Kick one knee up, bringing it as high as comfortable. Grasp it with both hands and gently pull it up slightly higher, hugging it to the body. - Slowly lower to repeat with the opposite side. Each step should move you forward slightly. - Stand with your back straight and feet shoulder-width apart. Spread your arms straight out to the sides. - Lift your right knee up and move it across your torso to point at your left hand. Hold the position for a moment and then lower the leg to the start. Perform five to 10 reps on your right leg. - Lift your left knee up and move it over to point at your right hand. Hold that position for a moment and then lower the leg. Perform five to 10 reps on your left leg. - Alternate from leg to leg, and add a hop in between each repetition to make the exercise more challenging. Squeeze your oblique muscles at the top of each rep. Obliques are located on the sides of your midsection beneath your ribcage.